Follow the latest CMAs news, videos, and analysis from ABC News. 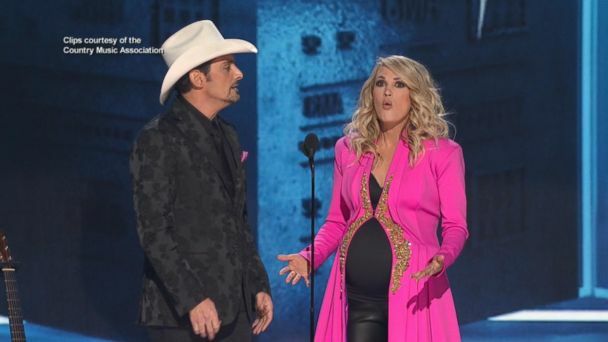 Underwood, who co-hosted the show again with Brad Paisley, revealed she is having a boy in a night that saw country music's biggest stars gather in Nashville. The country music world honored its best at the annual CMA Awards. ABC News' Marci Gonzalez reports from Nashville. The music group talked about what the CMA Awards means to them. The musician talked about his honeymoon and how it feels to be nominated for an award. The musician talked about her expectations for the show. 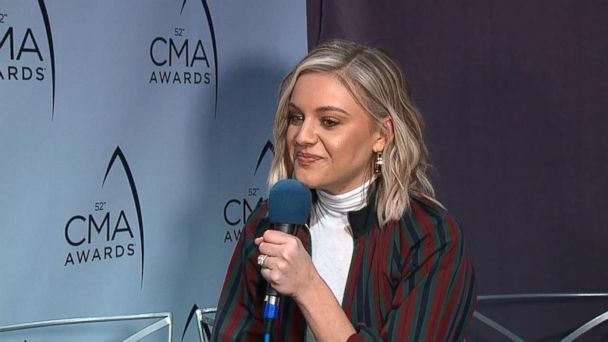 The musician talked about the sense of community that the women of country music have with each other. The music group talked about how grateful they are to be nominated for an award. 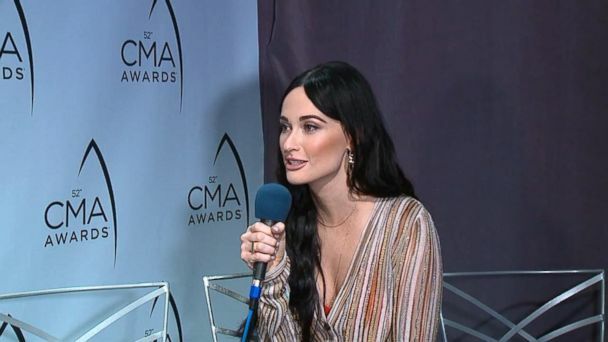 The musician talked about writing to her feelings and how it feels to be nominated for a CMA award. The music duo talked about their red carpet outfits and where they keep their awards. 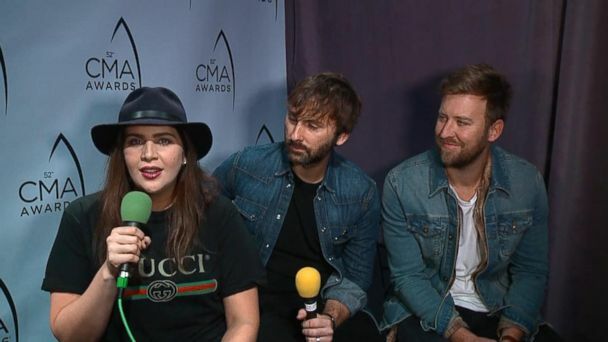 The music group talked about their nomination, new record, and how their wives will enjoy the CMA show. The group talked about which award it wants to win. Carrie Underwood and Brad Paisley appeared on "GMA" ahead of hosting the 52nd CMA awards. 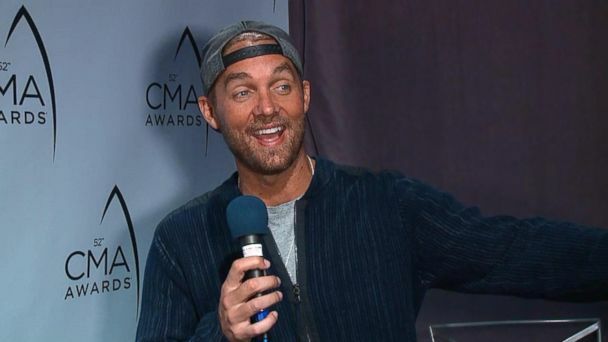 Darius Rucker, Lady Antebellum, Jake Owen and more share their favorite moments from the past ten years of country music specials with ABC News' Robin Roberts. From sitting on the American Idol judges' table to being nominated for CMA entertainer of the year, Luke Bryan is arguably one of the busiest men in country music. Sugarland and Dan +Shay announce the nominees for single of the year, new artist of the year, male vocalist of the year and entertainer of the year from Nashville. The country music stars announce nominees for the 2018 female vocalist of the year and the vocal duo of the year. Luke Bryan, Sugarland, Dan + Shay announce the 2018 CMA Awards Nominations on "Good Morning America." 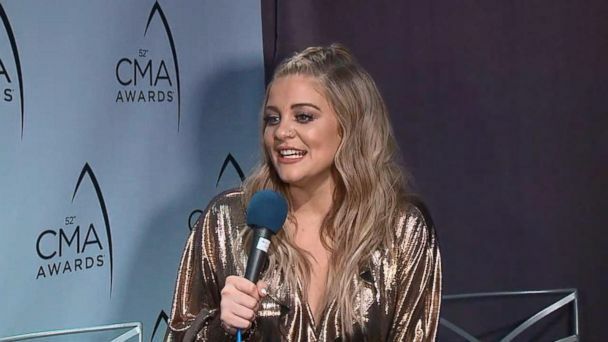 Behind the scenes at one of country music's biggest nights, hosted by Thomas Rhett and Kelsea Ballerini. 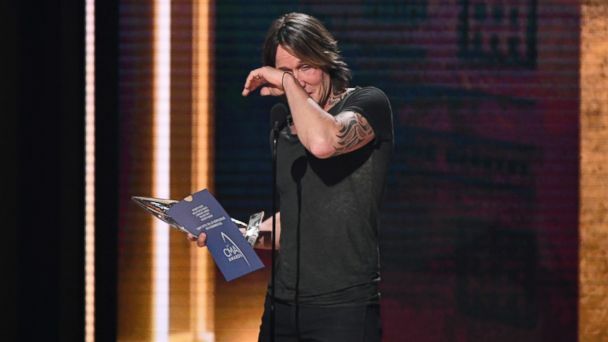 The country music star took home his sixth entertainer of the year award but received harsh backlash for lip-syncing his performance of "Ask Me How I Know." Hosts Carrie Underwood and Brad Paisley dedicated the show to victims of recent mass shootings, terror attacks and hurricanes and didn't shy away from politics in their 10th year hosting. The rising county music star talks about how his journey from Chattanooga to Nashville, being biracial and his creative process. 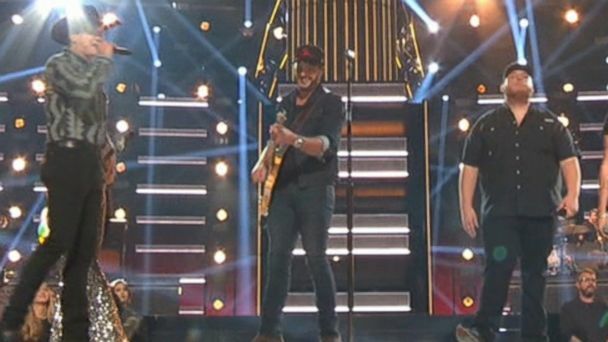 Granger Smith debates why Garth Brooks should win entertainer of the year over Luke Bryan. Cam talks about rooting for the underdogs in each category. Eldredge talks about attending the World Series instead of the CMAs last year. McEntire talks about presenting the entertainer of the year award at this year's CMAs. The group's members discuss their nomination as well as the friendly competition in the group category. Garth Brooks talks about his wins coming in twos and whether he's voting for Keith Urban. Kane Brown talks about getting nerves performing with Brad Paisley at the CMAs. “We work out. We train. We work really hard on this,” Paisley said on "GMA." 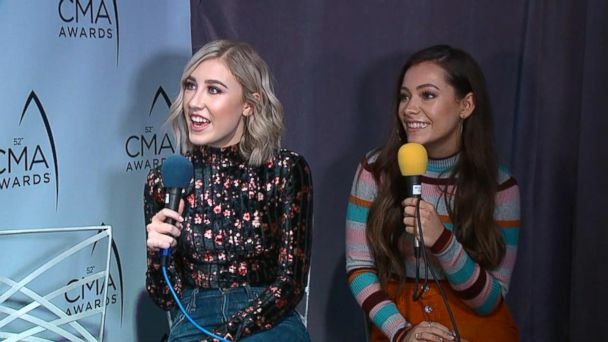 The hosts of this year's Country Music Association Awards dish on what fans can expect from the big night. Miranda Lambert, Keith Urban and Little Big Town top the list of nominees. 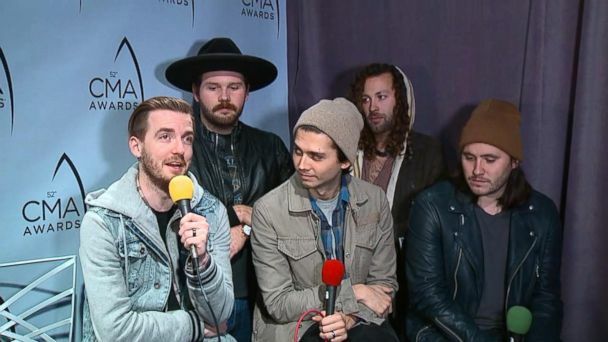 "GMA" caught up with some of country music's biggest stars in Nashville. ABC News' David Muir reports the stories people have been buzzing about. The co-hosts discuss the social media backlash to the cross-genre collaboration between Queen B and the Dixie Chicks. The country music royalty said "it doesn't get better" than being able to perform together at the 50th anniversary of the CMAs. The "Final Five" all chose Underwood as their favorite country artist except Laurie Hernandez, who loves Sam Hunt. "GMA" co-anchor Lara Spencer gives us a glimpse at the red carpet of the Country Music Association Awards and chats with some of the night's big names! "Good Morning America" co-anchor Lara Spencer reports from Nashville on the must-see awards show that included a performance by Beyonce and a tribute to Dolly Parton.